Shown above is a carved High-Density-Urethane (HDU) sign for am Attorney. 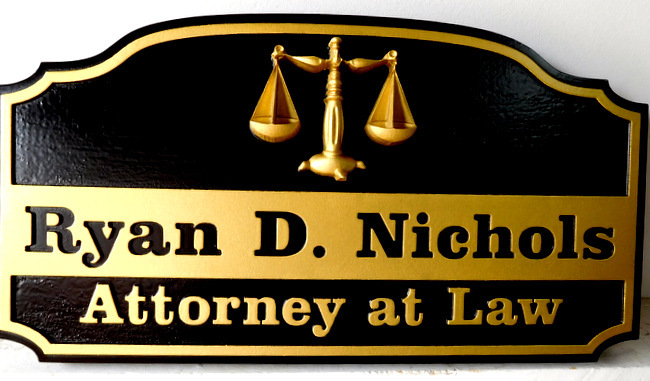 This law office sign has raised text, borders, with a sandblasted wood grain background.This interesting and striking sign projects formality and professionalism - black and metallic gold are very effective here. Other good colors for this sign are burgundy, forest green and gold and gray-blue and gold.